Jason Biggs was born in Fayetteville, NC. He received a BS in Sports Management and MS in Technology Education with a MS Minor in Sports Management from NC State University. Jason was punter for NCSU from 1993-1998 and Graduate Assistant football coach from 1998-2001. After graduating from NCSU, Jason became a teacher and assistant football coach for several years until he became Head Football Coach at West Bladen High School in Bladenboro, NC. While working at East Wake High School, Jason became the Athletic Director for 2 years. He started various new programs including the Fabulous 40 Board and Hall of Fame. In January 2008, Jason joined FS Series. 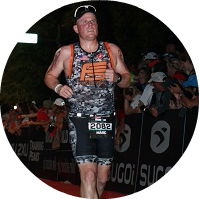 Jason completed Ironman Louisville in 2012, Ironman Mont Tremblant in 2013, Ironman Chattanooga in 2014 and 2015, Ironman Lake Placid in 2016 and Ironman World Championships in 2016. Jason also competes in running and cycling events and Cyclocross series during the winter months. Marc "Mr. Automatic" Primanti was born in Willingboro, NJ and attended Coatesville High School in Coatesville, PA. After high school he moved to Raleigh, NC where he joined the NC State football team as an invited walk-on kicker. Three long years later it would all pay off as he earned a full scholarship and became a 2-year starter for the Wolfpack. During his career he would set many records in the ACC and NCAA that still stand today. He was tabbed a Consensus 1st Team All-American and Lou Groza Award winner in 1996. 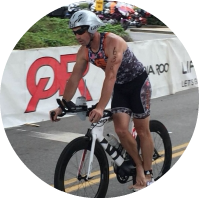 Marc completed Raleigh 70.3 and finished 1st Ironman at Chattanooga in 2014! He has over 10 years experience in sales/marketing that help in the day-to-day operations of FS Series. Our main goal is to provide a great experience for everyone that attends our events! 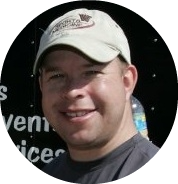 Brent Dorenkamp was born in Atlanta, Ga and attended Northern High School in Durham, NC. After high school he enlisted in the military and served during the 1st Gulf War. Following his commitment to the Army, he attended East Carolina from 1993-1998 where he received his BS in Exercise Sports Science with a concentration in Sports Medicine. Brent completed his internship at Duke and began working in the medical field after passing National Board Certification and becoming a Licensed Athletic Trainer in the state of NC. He has been the East Wake and Wakefield High School Athletic Trainer over the last ten years. While teaching sports medicine, he earned his Masters in Health Education.